I thought I would take a few minutes from my busy Monday to relay on some happenings. All day today I’ve been editing articles, researching for my own and working on setting up interviews with some cool industry creators. There are so many things I want to do- for both my comic book sites and The Outcask (craft beer), it’s just a matter if I could grow a few more hands and decide I don’t actually need sleep to live. But I do, most unfortunately. It’s also strange for me to be doing so much work during the day. I’m a nighthawk when it comes to getting things done. For one thing it is a lot quieter at night and my focus is zeroed in on whatever I’m working in. During the day, especially a day like today where I could only describe it as perfect, I’m charging through the workload with tenacity. At the end of the month my brother is coming in for a week. He’ll be here for my birthday which is a present in itself. I miss that dude! I’m definitely working on getting a lot things done before he comes in so that my week is free. We are already heading into mid-August, so I’m feeling the crunch. 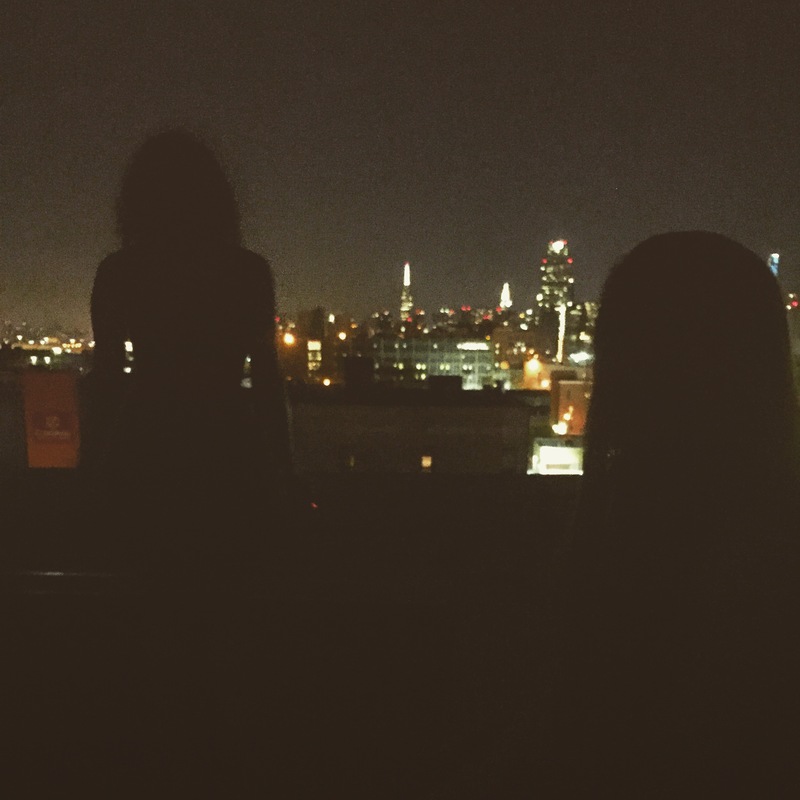 Last week I spontaneously stayed over my friends apartment in Queens. We went to a bar down the street and left a little after 3 in the morning. We lallygagged our way back under the train trestle where we laughed at our voices with the echo. When we got back to her building we climbed up top of the roof and the result is the picture I chose to accompany this post. I’ve been thinking about that night a lot and it’s been helpful to alleviate some of the stress I’ve been under lately. I think tonight I may open up a notebook and start scribbling a comic idea that I had when I took the Smithsonian and edX’s Superhero history course. I miss learning everyday. I try to, but sometimes the day just gets so cluttered with other things and I don’t get a chance to sit down and read about something new. I’ll work on that. Our coursework was learning about the history of comics and then to create our own alongside the themes and principles we learned about. I really like the idea I had, and want to flesh it out. For the past several years I’ve done all my writings on the computer, but I realized how much I love the feeling of paper and physically turning pages and scribbling in margins…. There’s a very romantic feeling to handwriting something for me. One of my favorite quotes is that if you fall in love with a writer you will never die. I’ll leave that as my last thought as I want to tie up this post and run away from the spider that just crawled up the back of my laptop.